I get given quite a bit of work by the nice people of England Green, so I was delighted to even up the score by building their website for them. This site was designed by Ella at Bibliotheque Design. 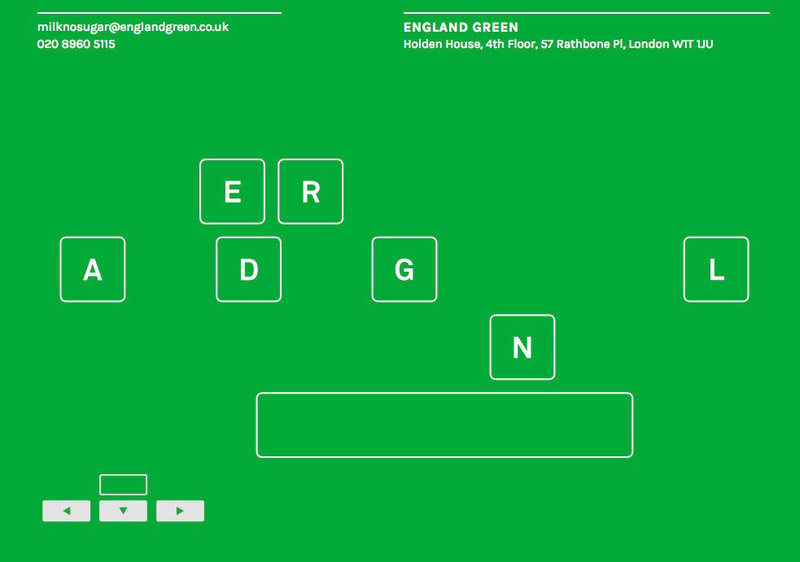 England Green wanted something completely unique, with usability coming way down the list of priorities and concept being at the top. Obviously it had to be green, and it’s inspired by a computer keyboard, with the arrow keys are the only way to navigate.